*grins* The arch-enemy, of course, even if John doesn't think people have arch-enemies anymore. Just keep in mind that this is probably the most dangerous man to meet. 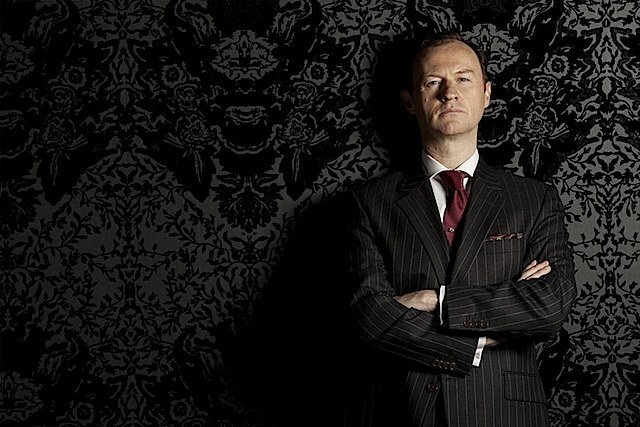 It's interesting to note that the relationship between Mycroft and Sherlock, as seen in this adaptation, is not the cannon relationship. Gatiss has even addressed this and admitted that they took their idea for the relationship between the brothers from a 1970s film. 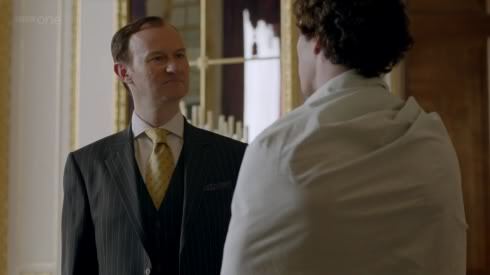 I'm honestly not sure which idea for the relationship I like better, but Mark and Ben do play off each other beautifully and I usually end up with the giggles during a scene when Sherlock and Mycroft are in the room together. Not to mention that John seems to really annoy him. I'll have to dig out my favorite gif set and share it later on, it's time to get ready for work. they really do. i love from the commentary when Mark says his hair is dyed to match Ben's and then Ben says that he's not sure who they dyed his hair to look like. 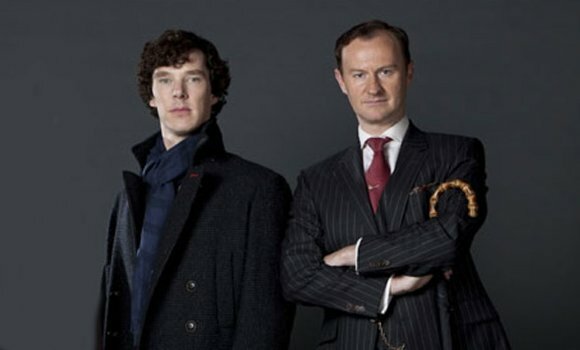 Martin says Sherlock and Mark adds that they thought it would be a good idea. *grins* they look equally good (and brotherish) ginger too.